When Abraham Jaffe first cast his eyes upon a diamond, it ignited a desire to share his love with the world. The brilliant 26-year old combined his passion for the radiant stones with his unique design talent. In 1892, he opened a jewelry shop on Maiden Lane in Manhattan. As word traveled of his luxurious designs, the business grew. Consequently, A. Jaffe relocated to West 47th street, which is now the heart of the iconic Diamond District. 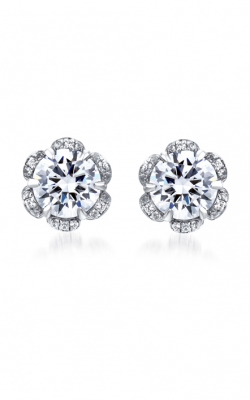 Jaffe’s signature designs paved the way for customized bridal jewelry. Marrying quality artisanship, cutting-edge technology, and unparalleled excellence, he created the first luxury solitaire and multi-stone engagement rings. The brand continues to distinguish itself by creating exquisite jewelry that surpasses the standards Abraham Jaffe set more than 120 years ago. Romance abounds in A. Jaffe fashion jewelry. Each design element reflects a place in time when love reigned supreme. Popular collections include Art Deco, Season of Love and the Classics. Inspired by the architectural elements that made people fall in love with New York, the Art Deco collection features geometric patterns and structural silhouettes. With Woodstock as its muse, the Season of Love collection boasts a whimsical flair with floral touches and bold, decorative accents. Simple elegance defines the Classics. With clean lines and delicate details, this timeless collection displays beauty from every angle. A. Jaffe fashion jewelry helps the wearer celebrate style. Each piece highlights the convergence of romance and art. Simple or sophisticated or something in between, A. Jaffe’s pendants, necklaces, rings, and earrings will suit your taste. A. Jaffe selects only premium materials to execute impeccable masterpieces. Paying attention to every detail, master jewelers use a 10-point checklist to ensure diamond quality, along with a 6-stage polishing process to guarantee the highest shine. In fact, it takes up to 80 hours to plan and produce the perfect piece. 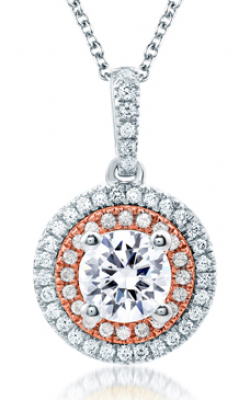 Why Shop for A. Jaffe Fashion Jewelry at Medawar Jewelers? Our story stretches back to 1920 when jeweler and watchmaker, Chakib Medawar began creating treasured pieces. His son, Pierre also picked up the skill. After moving to the United States in the late 1970s, Pierre and Catrine opened Medawar Jewelers in Lansing, Michigan. Now, under the discerning eyes of their children — Jon Pierre and Christina — the Medawar legacy continues. We offer a distinctive line of one-of-a-kind designs backed by impeccable customer service. The brands we carry meet our strict criteria for quality and consistency. Medawar Jewelers proudly serves Kalamazoo and the surrounding Michigan community. Schedule an appointment today at one of our five locations: Brighton, Jackson, Lansing, Michigan, Portage, and Okemos.